7 Growth Hacking Tips for Your Ecommerce! 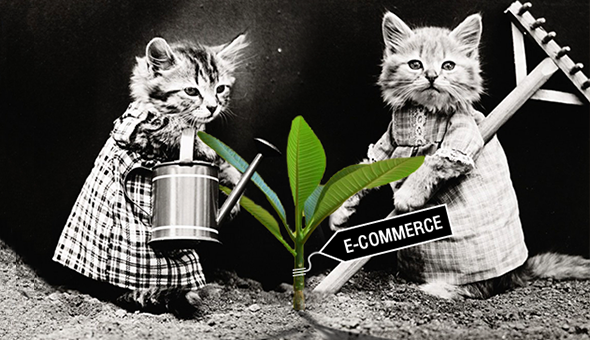 | Emakina Blog : Blog Archive : 7 Growth Hacking Tips for Your Ecommerce! Growth hacking is all about finding the fastest and best ways to acquire and retain customers – in a highly cost-effective way, of course! Growth hacking is thus logically gaining momentum, especially in ecommerce. And because we are nice people, we wanted to give you 7 easy to implement growth hacking tips other ecommerce companies are using today! Let’s get right into it! Retargeting, social media, blogging and influencer marketing all come into play to make your (e)shop and company stand out from the crowd. In short, you should always listen to your customers and try to understand them. Draw up a plan to gain their trust and focus on optimising their every interaction with your store or brand, whatever the communication channel they interact with. Growth hacking is all about installing a continuous data-driven approach. Running small tests to fail fast and learn even faster. But to be able to evaluate, deem a test a success or a failure and come up with new tests, you need to track the RIGHT data! As they say: not everything that counts can be counted, and not everything that can be counted counts. So, get the right KPI and measurement plan in place for your specific shop. Consumer research and insights can help you define what metrics are relevant to your consumers and your shop. Track the relevant data sets via tools such as Google Analytics, Kissmetrics, Omniture… and get the basics right! We’ve all heard the likes of these a thousand times over: “This year is the year of mobile! You need to think mobile first.”. Cliché as they might sound, it doesn’t mean they are less relevant or true. Mobile users continue to rise on most ecommerce webshops out there. A percentage of over 60% traffic share in mobile is no anomaly. Our customer behaviour has changed drastically. Your consumers are browsing and purchasing on your website with different devices throughout the day. But let’s stay away from the fluffy talk. We want to focus on 1 practical tip. Growth hack your mobile SEO by first of all focussing on the need for speed! 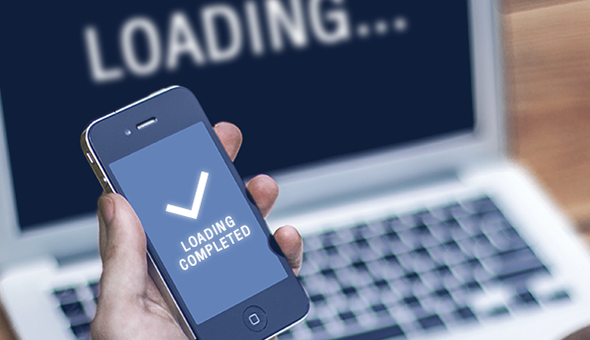 Research by Kissmetrics revealed 37 percent of users believe your mobile load time should be equal to or faster than your desktop. Now brace yourself. An astonishing 47 percent of website visitors expects your site even to load in two seconds or less. Do you know where you’re at? When we want to grow, we start making plans on how we will achieve this growth. And although a plan or (even better) a framework is needed, plans are the biggest pitfall for any project. This is true not only on a professional, but even on a personal level. Most human beings tend to get bogged down in details when drawing up a plan. This is entirely the opposite of the growth hacking mindset. It is all about moving faster with fewer resources and getting the same or even better results. To do that, once again speed is of the utmost importance. You must act quickly. Instead of contemplating or researching whether your site or app needs a login, test it via a split test. If you want to know which design would work best for your newsletter, have the multiple versions created and do a multivariate test. Soon enough you’ll be amazed by the results and the unexpected insights these tests generate. Do a lot of small tests, learn what works or doesn’t work and adapt accordingly. 4. Email is Dead! Long Live Automated Emails! Back in the day it all seemed simple enough, right? You could boost your ecommerce sales by shooting out emails to your subscribers. Those days are long gone. While email marketing can still be done at a fraction of the cost of your other marketing efforts, it lost part of that über-effectiveness. BUT, if you get it right, email is still one of the highest performing and engaging channels. You need to cater to your customers’ needs and provide them with personalised messages that will hold their attention. It’s the customer first and your brand second approach. Remember you want and need to create a lasting relationship with your customer. Take the time to get to know your customer trough their behaviour and address their concerns through your emails. Email marketing and content marketing are a match made in heaven. Never forget to leverage that. Marketing automation helps you create more personalised messages. Some of the ecommerce email campaigns you should run: abandoned cart emails, welcome emails for new members, promotional offer emails, and loyalty program notifications. 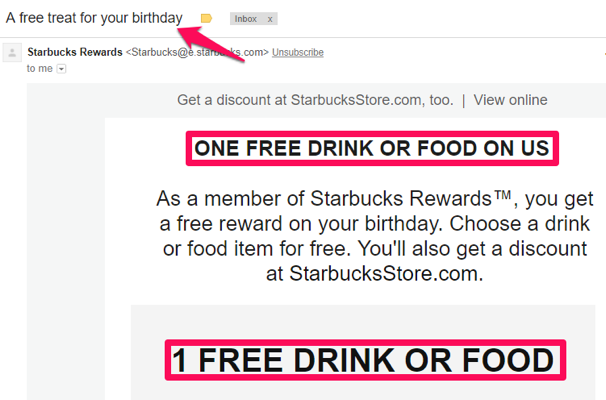 Mixing strong engaging moments with a loyalty and promo offer creates a unique user experience like this Starbucks example. In our book, it’s the perfect way to make you feel a little bit better about getting older and drive footfall to your physical store. Don’t forget to make all your emails mobile friendly and test, test, test! A consumer is a person who buys from you. It’s not a person you think might one day buy from you. Having a large database of potential consumers never sold 1 extra product or service. The quality and responsiveness of the people in your database however is the key to success. Let’s start focussing on these valuable consumers first. This means you need to track the value of each individual consumer. Keep track of their purchasing behaviour and use these insights to personalise your messaging across channels. If you see engagement with your messaging dropping off or if a customer hasn’t been to your site in a long while, try to engage them again with great content and creative concepts. We love the jetBlue example. It’s creative and has a strong emotional message. On top, it clearly states why you should continue to engage with the brand. However when all efforts fail, you need to retreat. If a person is completely tuned out, stop pouring money in a bottomless pit. Define beforehand how much time (pe. 3-6 months) you allow yourself as a brand to reactivate a customer. After that timeframe, erase that wannabe customer from your database. It not only helps you keep the quality of your customer database at a high level. It will also get you some kudos regarding data privacy policies. A picture is worth a thousand words. Hence, it’s no surprise Instagram is so popular all over the globe. In Belgium alone, the video- and photo-sharing platform has over 2.5 million users ages 13+ based on statistics from 2017. As users flock to Instagram to share their passions and get inspired (source: Pub.be), it’s a very impactful place for advertise alike. But you need to be relevant and do it right. Use the different targeting capabilities and make sure your ads are photo-inspired and use minimal text. The essential elements for an impactful Instagram post: it’s brief, plays in a loop – if possible- and appeals to a very wide audience. When you add quality photo or video material, you have a killer mix! 7. Make It Sell! Make It Scarce! It’s probably the oldest trick in the book. But it works! Ask yourself how many times you ordered a product because the ecommerce site mentioned something like “Only 3 left in stock. 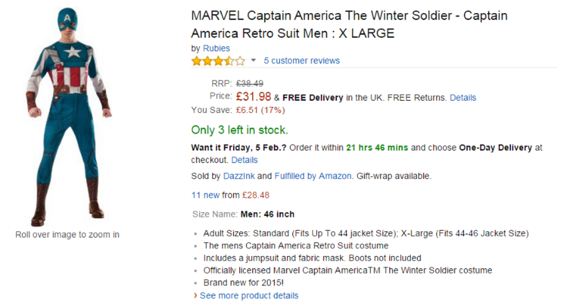 Order now”? This hack creates a sense of emergency among your consumers, or at least in their minds. It works on the simple principle of creating demand by scarcity. Just try to book a hotel on Booking.com and you’ll understand what we’re talking about. We hope you enjoyed our 7 top tips for ecommerce growth hacking. If you haven’t implemented them yet, do it as soon as possible. It will help you grow your business and get extra insights to evolve and innovate. Of course, we have much more tips to help you grow your slice of pie! If you want to know more, visit emakina.be and get in touch!